Average person spends £89 a week on their commute, with clothing the most popular purchase. Commuters spend £22.8bn per year while travelling to and from work, according to a report from out-of-home companies Kinetic and Exterion Media. It also found that 14% of annual online spending in the UK is done using a smartphone and that 70% of commuters have made a purchase based on ads they saw on their journey. The study, which was carried out by the Centre for Economics and Business Research, surveyed 1,500 smartphone-owning commuters around the UK who travelled to and from work, college or university at least three days per week. People spend on average £89 a week on goods and services via their smartphones during their commute, according to the report, with clothing being the most popular purchase. This figure rises to £153 per week for London commuters. The next most popular purchases after clothing are health and beauty products, activities and grocery shopping. Stuart Taylor, chief executive of Kinetic, said: "With out-of-home advertising acting as the link between online and offline retail and reaching 98% of consumers nationally, it’s an opportunity that retailers cannot afford to ignore. "Moreover, advancements in OOH technology mean that brands can serve commuters with dynamic creative based on environmental factors such as weather, location and time of day – remaining hyper-relevant even when ‘offline’ and out of store." The research analysed commuters who use public transport, minibus and coaches, then multiplied the survey data by the number of UK public transport commuters in order to achieve the reported figure of £22.8bn. Exterion holds the Transport for London media contract and has partnerships with transport companies including National Express, FirstGroup, South Western Railway and Great Western Railway. 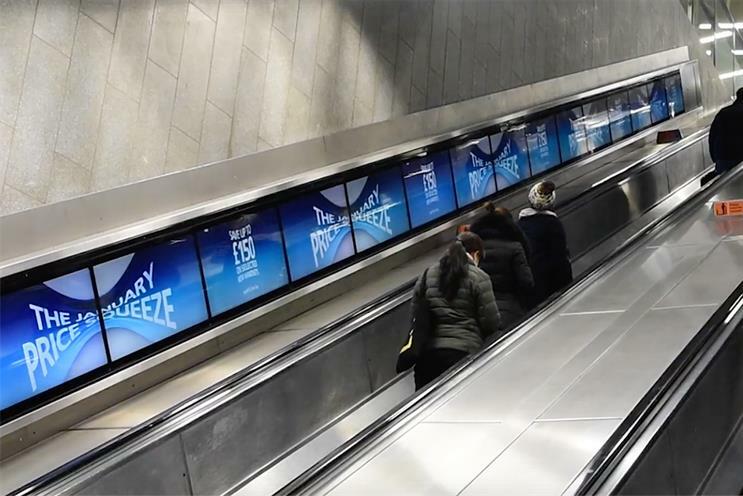 Nigel Clarkson, chief revenue officer at Exterion, said: "The shift away from physical sales has made online purchasing and payment so prevalent, and we know that OOH ads can drive product search and purchase within seconds of adverts being seen."